Uganda is already reaping the benefits of government's augmented funding of Ugx.17.4 Billion to the sports sector, with outstanding performances registered in different sports disciplines. Successful accomplishments at the XXI Commonwealth Games in Australia, the Uganda Cranes two times qualifications for AFCON, the She Cranes qualification to the Netball World Cup and now the exceptional performance of Uganda at the 2019 World Cross Country Championships. Team Uganda put up the best performance ever at the 43rd IAAF event in Aarhus, Denmark over the weekend, with 2 Gold, 2 Silver and 2 Bronze medals. In the Senior Men’s category, Uganda dominated the podium with the 1-2 finish. 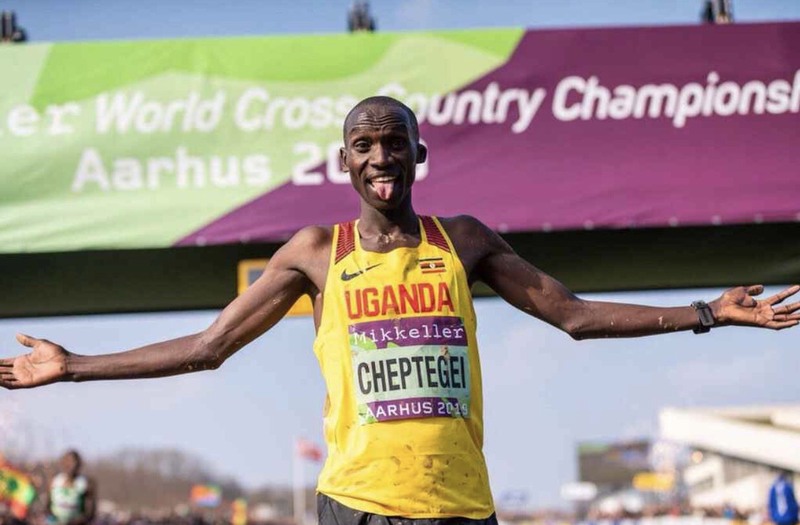 Joshua Cheptegei became the first Ugandan to emerge champion of the senior cross country event after clocking 31:40 and Jacob Kiplimo 31:44 was second to beat 2017 Kenyan Champion Geoffrey Kamworor to third place. Other Ugandans Thomas Ayeko completed in 7th position, Joel Ayeko in 10th, Albert Chemutai 12th and Maxwell Rotich 17th. Accordingly, Team Uganda topped the medal table with 20 points and team prize of $20,000 in addition to individual prize money. Joshua Cheptegei displayed a bewilderment race, given his 30th distant finish in the 2017 edition, when he suffered a stitch in the final lap. Joshua now boosts of a successful sports profile of 1 World Cross Country Gold medal, 2 Gold Commonwealth medals, 1 Silver World Championship medal and 2 Gold medals from Junior events. Meanwhile in the women’s event, Uganda’s Rachael Zena Chebet clocked 36:47 to finish in 4th position while other Ugandans Juliet Chekwel was 13th, Ester Chebet 14th, Stella Chesang 21st and Doreen Chesang 63rd. In the Men’s Junior event, Oscar Chelimo clocked 23:55 to win a bronze medal and Sarah Chelangat finished 4th in the junior women’s event. Uganda entered the biggest team ever for the championships with a 27 contingent which the Assistant General Secretary, Technical noted was a deliberate plan of Government to boost the sports sector performance with increased funding to boost the Country’s abundant talents and reap the enormous benefits therein. National Council of Sports has today received the gallant team at it s headquarters at Lugogo and hosted them to a luncheon at Cafe Javas. Uganda hosted the previous edition of the 2017 World Cross Country Championships in Kololo, Kampala were Uganda won 1 Gold medal in the Men’s Junior event by Jacob Kiplimo.